Chocks away! 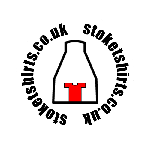 Those splendid chaps from the SCFC will be winging their way over Johnny Foreigner's home in their effort to spread the word of Potteries football far and wide. 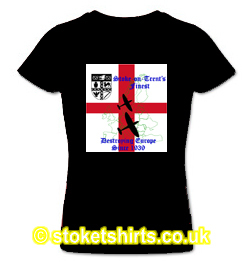 What better way to inform the world of Stoke-on-Trent's contribution to English history than with this proud design. The Spitfire and The Potters - inextricably linked to Stoke-on-Trent and proud of it! Reginald Mitchell certainly put his mark on Europe, let's hope the Potters have a similar impact, albeit with the destruction being of teams on the field. 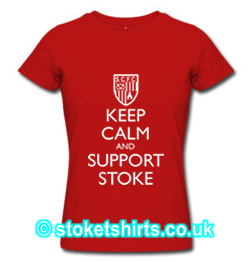 an idea inspired by one of our customers @Iamwillscfc on twitter.